We open during the day for private events for groups of 30 or more. Regular hours are: Monday-Thursday 4:30-10:30pm. Friday 4:30 - 11:30pm. Saturday 12:00PM - 11:30 Pm. Sunday 12:PM-10:00pm. Brunch Sat-Sun. 12 Noon 4:00pm. Happy Hour Mon. - Fri. 4:30 - 7:00pm. Street parking. Public parking garage is also available at the corner of Biltmore & Columbia Rd or at 18th St (drive through out the alley next to the restaurant - just across 18 Street). Parking validation on the weekend for brunch until 5pm. We are close to Woodley park metro station or Dupont circle metro station (red line). We offer banquet menu for private and semi-private events (accommodate groups of all sizes). TGFI is happy to provide carry-out, delivery or full catering services. We can customize a specific menu for your party. Our PARTY SIZED PANS are Generous portions that Make Your Dinner or Party Planning easier. = Half Pans Feed Approximately 8-18 people. = Full Pans feed approx 20-30 people. The Grill From Ipanema is the only authentic Brazilian restaurant in town. This restaurant takes pride in its hospitality and is committed to offering the best culinary experience so that one can truly taste traditional Brazilian cookery with different flavors and from different regions in Brazil. The inspiration of the menu is a reflection of the people, different cultures, and flavors within Brazil. Try our "Moqueca Mista a Baiana" style, it is a mixed seafood stew of fish, shrimp, mussels, squid, clams and scallops is prepared in a blend of palm oil and coconut milk with fresh cilantro, tomato, onion, scallions and green pepper (Please indicate how spicy) served in a clay pot with rice and fish broth, and a yucca purée on the side. Grill from Ipanema is a delightful surprise to anyone interested in a unique adventure from way down south. $35 p/person, Jan 14th – 20th, 2019; with One Cocktail Drink, Glass of Wine or Beer. codfish croquette served with our gourmet signature dipping sauce. Brazilian style meatballs (croquettes) served with a gourmet spicy sauce. 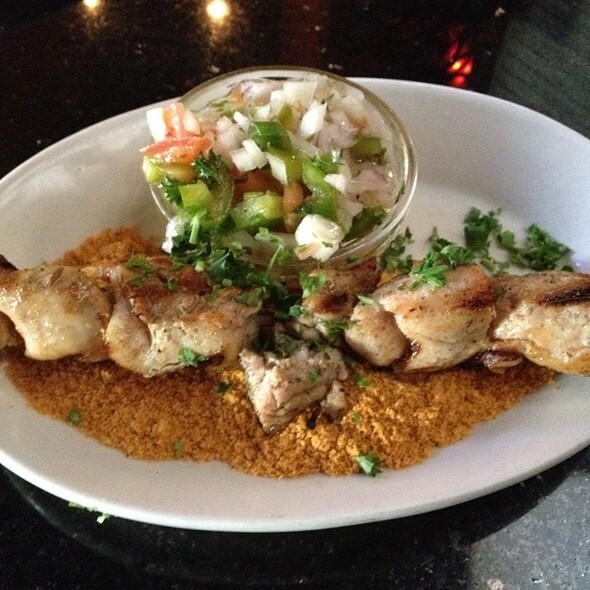 Grilled Brazilian style brochette, served with farofa (ground yuca roasted with garlic and butter), and fresh vinaigrette sauce (your choice of: Beef, Chicken, Shrimp, or Spicy Sausage). 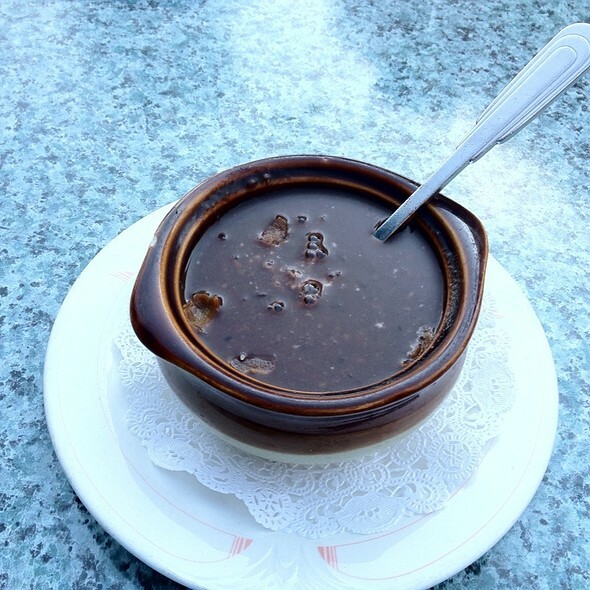 Black bean soup, served with a touch of parmesan cheese and bacon (optional). Potato soup with smoked spicy sausage (optional), collard greens, garlic and onion. Spicy mussels soup with vegetables, cilantro, onion, tomato, leeks and jalapenos (very spicy). Brazilian croquette stuffed with chicken and cheese, lightly breaded and fried, served with our signature dipping sauce. Half shell mussels in a leek, watercress and garlic sauce. Avocado salad mixed with shrimp, tomato, cilantro, onion, green pepper, and our house dressing. Grilled Portobello mushroom topped with crabmeat sautéed in an olive oil, cilantro, tomatoes, green pepper & onions. Grilled chicken breast in a coconut milk sauce, served with sautéed vegetables and rice. Grilled chicken breast served with farofa, rice, black beans, vegetables and fresh pico de gallo. A stew of shrimp and chicken breast in a blend of yucca, cilantro, onions, tomatoes, green pepper, coconut milk, cashew nuts, peanut and palm oil served with rice, sautéed okra and farofa (roasted ground cassava). Grilled pork chops served with rice, tutu a mineira (black beans and yucca puree), collard greens. Mixed grill of beef, chicken, sausage and pork. Served with rice, black beans, vegetables, farofa & pico de gallo. Steak grilled to perfection (noble cut of meat) served with rice mixed in a fusion of eggs, parsley, bacon, mini potato chips and sautéed collard greens. The Brazilian national dish, a rich stew of black beans, pork, sausage, and smoked meats served with collard greens, rice, farofa and orange slices. Cooked for over 9 hours. Grilled salmon filet in a white wine, green peppercorn, and asparagus sauce, served with sautéed vegetables, and mashed potatoes. Gourmet chocolate bar melted to perfection & served with vanilla ice cream and peanuts (optional). 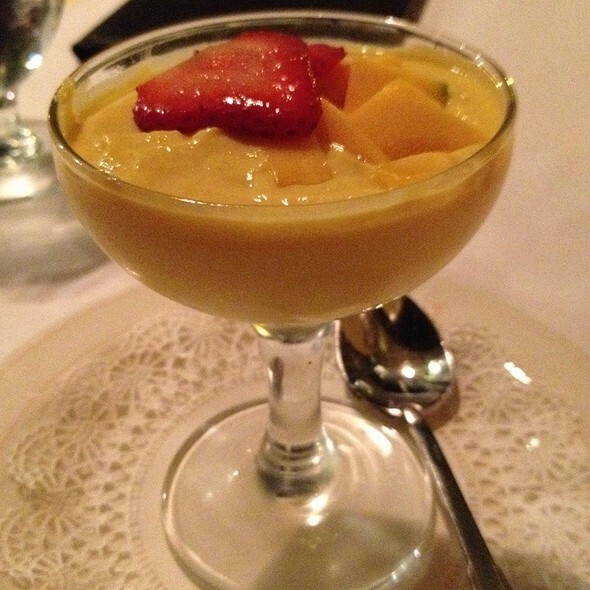 Brazilian cheese mousse topped with melted guava sauce. The staff was so welcoming! The food was amazing, my mouth is still watering days later. Authentic taste, authentic staff. Reasonable pricing. The ambience was great. Definitely coming back during my next D.C. visit. We don't go back to many restaurants multiple times in DC, but this one we do. We were lucky enough to visit on Easter Sunday. They had a WONDERFUL buffet of the best food. This place is so good that even their beans & rice, such simple items, are delicious on their own. The desserts are a must for us. Even with a buffet we had great service. The restaurant has a family vibe, I'm not sure if it's family owned or not but they are all so welcoming and friendly. Even the chefs have come out to interact with us before. We feel lucky to have found this place. We will be back again, I'm sure of it. We visited for a birthday celebration, and because we heard it was a lot of fun. However, the food was just average. The cocktails were good, but the food came out luke warm. The only redeeming thing was that the service was great. The waitress was very attentive. Lovely staff, very attentive, spoke both fluent English and Portuguese. Food was authentic and very yummy. Reserved for my Brazilian mother-in-law’s birthday and they brought the table a complimentary and large serving of ice cream to share. Would return! Ipanema has a really good selection of meal choices, and provides attentive, yet inconspicuous service. Food arrives looking very tasty and enticing. Great restaurant. Very surprised that 18% tip charged on bill for a party of 3! The restaurant is okay; it’s not terrible but it’s not great either, it’s average at best. My father and I both got their Baiao de Dios and it was incredibly disappointing, the steak was so incredibly fatty that a third of it was completely inedible. Their baiao was pretty bland and there was about 1 pound of it on the plate. My mom had the salmon and she said it was quite nice. Overall this place isn’t worth the money and I would not return. 10 dollar corkage fee is very good for DC! Enjoyed the food and the service was excellent. One person in our party had an issue but the server quickly fixed it. Attentive and knowledgeable server, excellent Brazilian tapas, had the moqueca a capixaba with shrimp which was piping hot and delicious; highly recommend the coconut flan and the passion fruit mousse for dessert. The food was outstanding, the best part of the whole experience. The food was great, the service even better. We definitely enjoyed our meal. The prices were very reasonable. Will absolutely be back! Looking forward to trying their brunch! They seem to have a scam going with the 1,000 point reservations. Twice now I’ve gone after making a 1,000 point reservation to only receive 100 points. Not exactly sure how the 1,000 points work as far as who’s responsible, restaurant or OpenTable, but I assume the restaurant isn’t “checking you in” properly if you aren’t receiving the 1,000 points. Great to have the best seat in the house. Really loved the service of what seemed to be a family restaurant. Liked the ambience which was samba like with a touch of lighting and Brazilian flare. Picture of the Brazil flag made from fruit was interesting. Flank steak was meh but the tapas were stellar including the yuca and the cod and chicken fried savory pastries. Loved the food, drinks, and service. We brought our son’s girlfriend who is Brazilian and she enjoyed speaking to the staff in Portuguese. 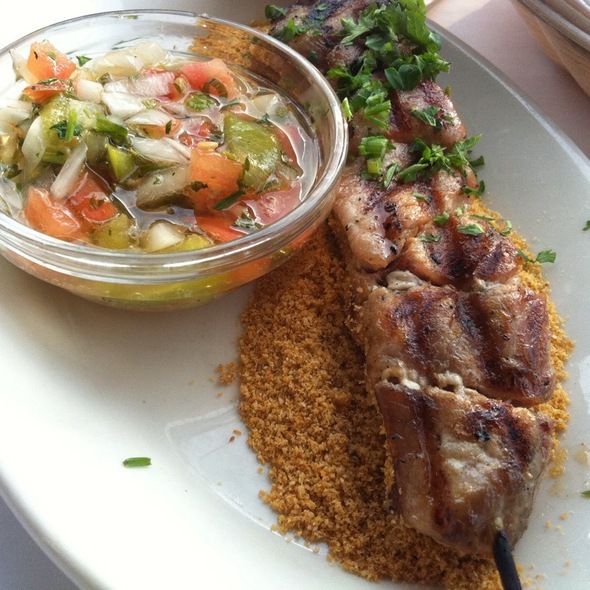 This is one of DCs stalwart classic restaurants and the most authentic Brazilian food you will find in the District. Delicious food. Great service. Heavenly flan. Best caipirinhas hands down! It was a pretty place, good service and good food. Excellent casual Brazilian restaurant. Fun. Brazilian specialties especially seafood. And Brazilian wines. Fun dinner for nine. I took the love of my life on a Valentine’s Day exploration of Brazilian cuisine. We tried the feijoada and the feijoada croquettes and the fries yucca. Everything was amazing!!! This is definitely a place to come back to and we will over and over and over again!!!!! This has long been one of my favorite restaurants, but this visit was a bit of a disappointment. I've often ordered the paella which I did last night. Compared to previous visits, this dish was dominated by rice. There was no shrimp or sausage as has been the case in the past. And the Caprhina was weak and not particularly tasteful. We went here for the first time to celebrate our anniversary and try out its restaurant week menu. I really liked that they had numerous options on the menu for restaurant week. Other restaurants were more limited in their choices, which I did not like. Each entree was amazing, and I especially loved the Brazilian style croquettes stuffed with cheese! Would love to come here again. This might be one of the last restaurants where you can actually hear the person you're having dinner with. Restaurant week deal was good. Main course portions were generous. Very kind owners. My family and I frequent this restaurant because it’s offers a more authentic Brazilian food experience. 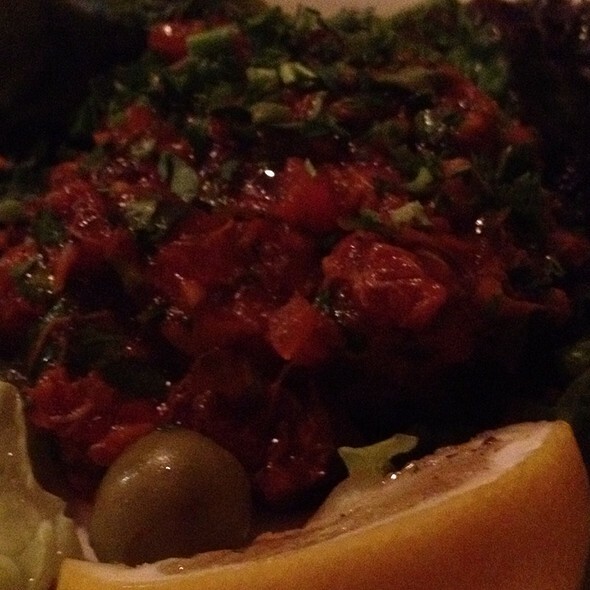 The seafood options are great and so are the meat dishes. Be sure to try at least 2 of the petiscos (appetizers). If you are intimidated by the Português speaking, fear not, English is just fine. Sometimes there’s a bartender who crafts drinks. I’m not used to hearing a blender when I order a Caipirinha. I was not that impressed with the drinks. Also the Baião de Dois was not as good as I was expecting. In the defense of the chef, it’s not that easy of a dish to perfect. There was no carne seca, nor mandioca in it, seasoning was also missing. In short, don’t order this dish if you are intricately familiar with the real deal. Lastly, the service and staff were great, friendly and super accommodating I certainly will return since we have been going to thus restaurant for years to sate our taste for Brazilian food not cooked at home. 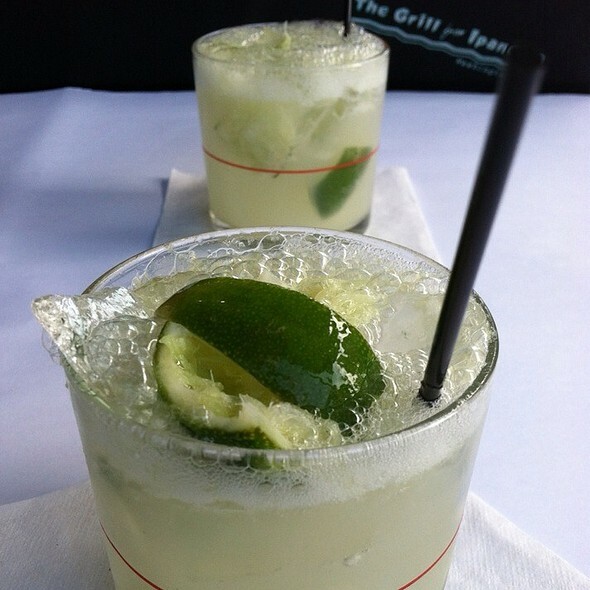 I've been coming to the Grill from Ipanema for many years, and I have never had a complaint with their food, their cocktails, or their service. This past Sunday I took a party of 13 people there and we all had a wonderful time. The staff were attentive and clarified billing everyone separately up front. I also discovered their brunch menu for the first time, and it had a lot of great options...the most important one being the bottomless mimosas. Everyone left the restaurant fully satisfied and said they would be happy to come back again. Definitely do yourself a favor and enjoy a wonderful dinner at The Grill from Ipanema. Went for early dinner in time to catch nutcracker. We had been to the Grill over 15 years ago. The food was authentic then. This recent time, it was mediocre. The pasta dishes were not good; over cooked pasta and didn’t have much Brazilian flavors. The yucca, grilled shrimp and skirt steak were ok. Caipirinha was fresh and the best part. The service was very good!! 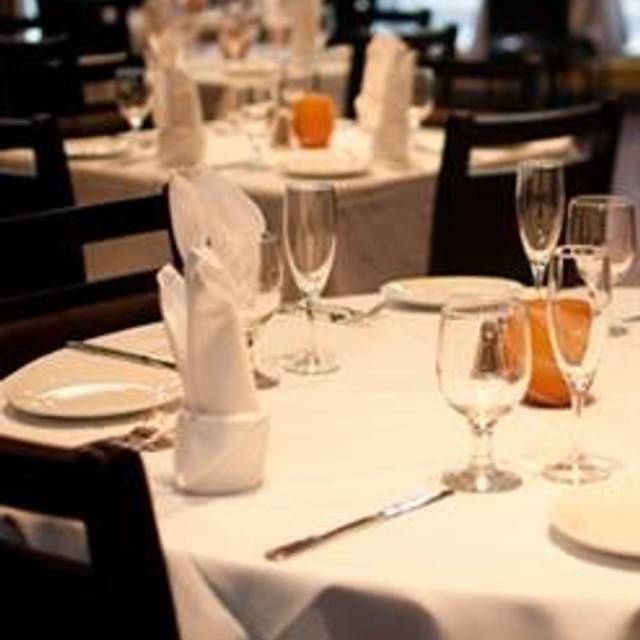 The waiters were very polite and professional, the setting was also nice and clean. I felt the brunch special was a decent value, 3 course meal for $23, I got a small bean soup which was very tasty (a bit watery but flavorful), for my entree I selected the “bife acebolado” and was not pleased. The steak was stiff and flavorless- the onions undercooked. It came with a small portion of rice and even smaller portion of beans. For dessert, an average rice pudding. The caipirinha was probably the highlight of the food/beverage. Also, no parking and difficult to find a spot. To end on a positive... again, the service was good. This place has been consistently wonderful all the years I have been going. I love it, and if you try it, you will love it too! Thank you to our amazing waiter, my mom loved the drink and the food you recommended. One of if not my favorite places to go. The food is amazing and delicious. The staff is super friendly and the ambience is quiet and relaxing. Highly recommend. My husband and I brought our two teens along to celebrate our wedding anniversary. Had never tried Brazilian food before but we love trying new dishes and everything was delicious. We ordered a bunch of tapas as well as a couple of entrees and just shared them all. Would absolutely return. 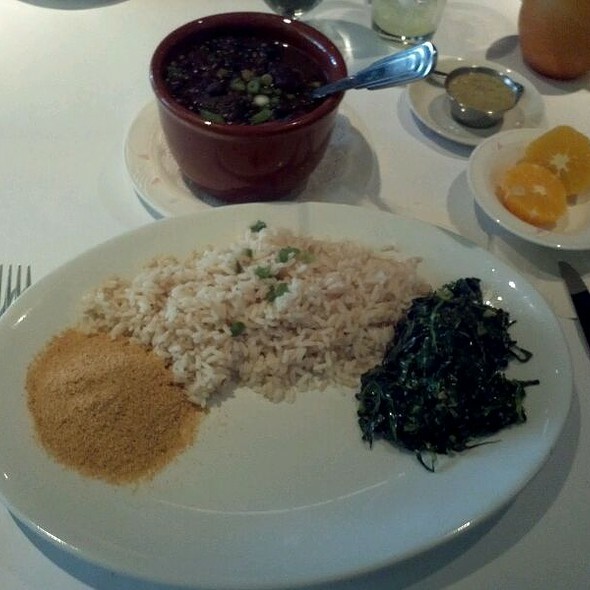 The best Brazilian food in DC area. Don’t go there to eat a baked chicken breast. You can get that anywhere or at home. 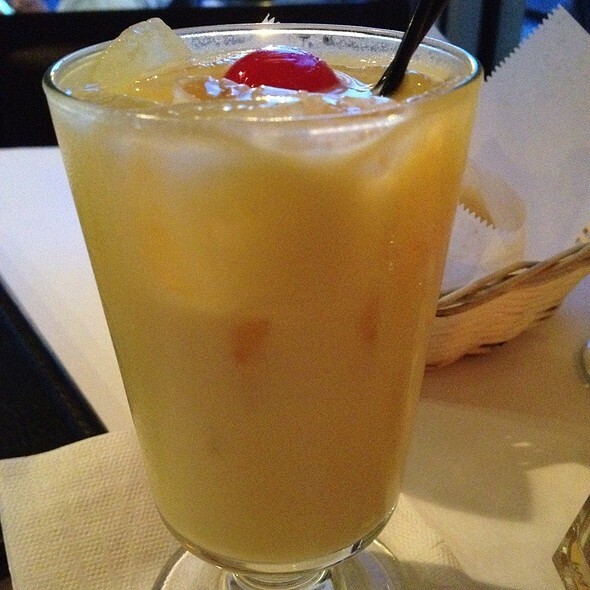 The mocqueca can not be beat. And the coxinha is actually better than those I’ve had in São Paulo. I always want to take an order home with me, but then I will not be able to stop myself from eating all four that night! Food was excellent. Service was spotty. Prices a bit high for drinks; 2 dinner entres and 4 drinks came to $107 including tax (tip after that). For some reason, the hostess changed our OpenTable reservation from 2 to 1 while I was parking the car; this cancelled the 1000 point bonus and we had to call OpenTable for an adjustment. The wait staff was very patient and knowledgeable! We were a large party who came to celebrate and it was great!! What a find in Dupont Circle!